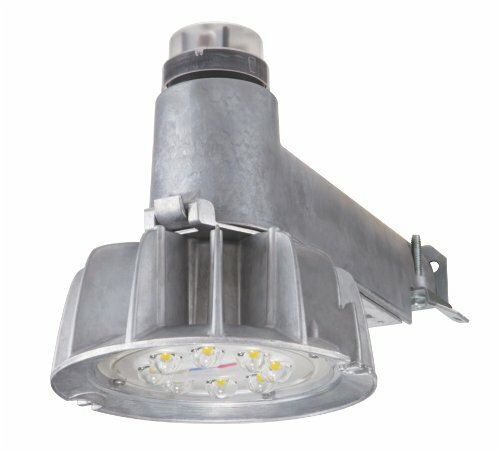 The Lumark Caretaker LED Area Luminaire delivers unmatched light output and functionality in a rugged design to address low-cost, low maintenance security lighting applications. The versatile universal mounting plate allows quick and easy installation whether it is wall mounted security lighting, residential street lighting, perimeter area lighting, parking areas, loading platforms, boat docks, access drives or pathways. The Caretaker delivers a wide, uniform distribution with excellent vertical illumination for maximum light coverage. Designed for years of worry free illumination, the Caretaker luminaire is UL/cUL listed for wet locations and 3G vibration rated. 120V 50/60Hz. NEMA twistlock photocontrol for dusk-to-dawn operation. Universal wall and wood pole mount bracket. Options include small acrylic refractor and ANSI/NEMA refractor. If you have any questions about this product by Lumark, contact us by completing and submitting the form below. If you are looking for a specif part number, please include it with your message.